This post is part of a photoblog of a holiday trip we took to Botswana and Namibia in May 2013. You can see a list of all the posts here, and this one is continued from Ovamboland, Namibia 17-20 May 2013, with flashbacks to the 1970s | Khanya. 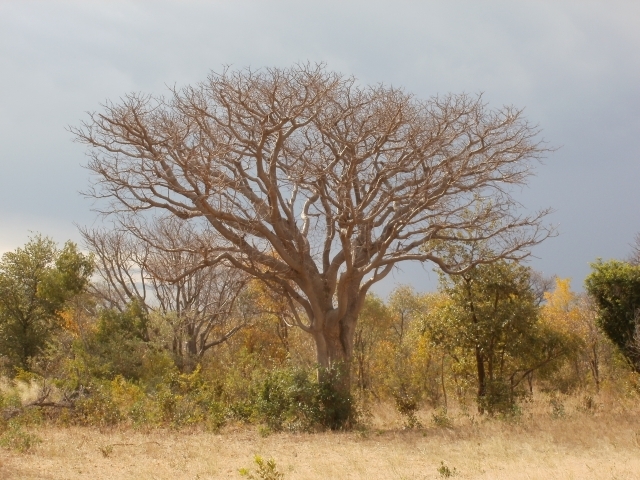 We left Odibo at about 8:30 am on Monday 20 May, and took the old road to Oshikango, which was less car-shaking than the new one we had used before, and gave better views of the countryside, with more rural scenery. 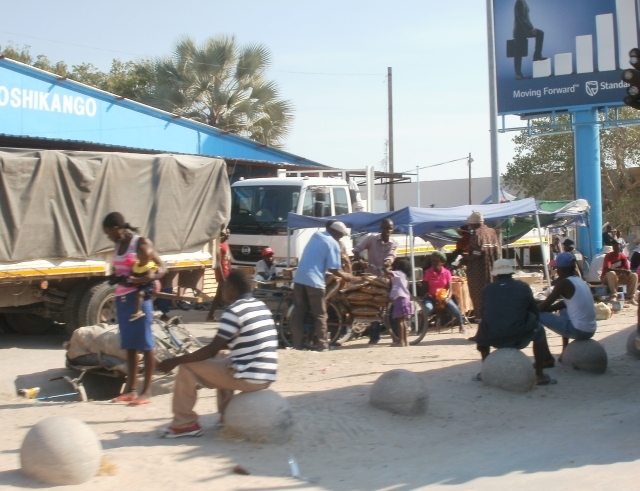 But it also went into a part of Oshikango with a market of corrugated iron shacks, new and shiny and galvanised, but ugly as sin. It looked even worse than Albania. Oshikango was much bigger than I remembered it, in fact I hardly remembered it at all, having passed through it only once in daylight, and then as quickly and unobtrusively as possible, to avoid being seen by the police, since I had no permit to be there. It seemed to be a brash frontier town, with big 26-wheelers queuing up to cross the border into Angola, and even that early people rushing around everywhere. Lots of shops had trilingual signs, in English, Portuguese and Kwanyama. A busy entrepôt, but is it worth the price of autarky? In some ways all this economic activity is a sign of prosperity and progress, but it is also a mixed blessing, and I can’t help thinking that the loss of the old autarky is the loss of something that was valuable. The locally-grown food was nutritious, and 40 years ago Ovamboland was one of the few rural areas in southern Africa where there was no malnutition. People went outside Ovamboland to work for cash to buy luxury items like radios and sewing machines to take back home. There was no need at all to import food. The local diet may have been boring but it was nutritious. In 1969 a deacon, Petrus Nandi, 90 years old, came to Windhoek for a synod, and he spoke of two things that struck him about his first visit to the city: magazine articles and pictures showing the first moon landing, and the first time he had tasted ice cream in his long life. Now people buy food in Ovamboland, and there are supermarkets of the big chains like Shoprite there. What they buy is not local, but all imported from elsewhere. So there was the old boring but nutitious diet, and the new advantage of being able to buy junk food. And most of the economic activity seems to be service industries. Most of it doesn’t seem to be stuff that anyone makes, but buying and selling stuff that other people make. There were also signs of the growing Chinese influence and trade in Africa. 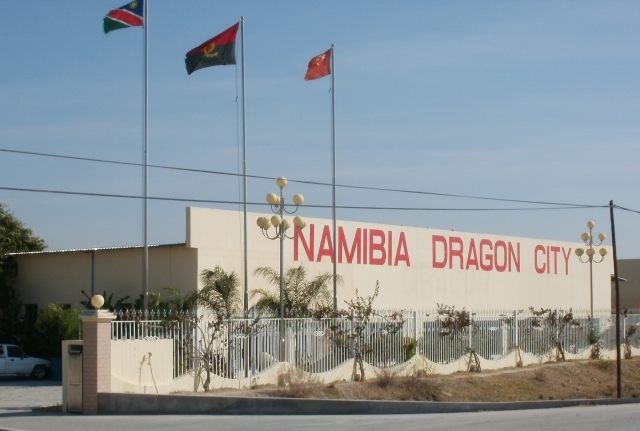 Growing Chinese trade in Africa: they sell their stuff in Ovamboland, but what do they buy there? We saw only one petrol station, which seemed surprising for such a busy place, and went there to fill up for the trip to Rundu. Either their card machine was not working, or we had a problem with our cards, and we had to scrape together what cash we had between us to pay for the petrol, and left, somewhat relieved to do so. The place was just too frenetic and not conducive to a relaxing holiday. 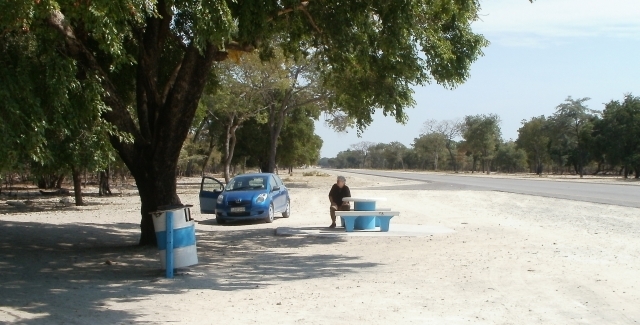 We drove about 14 kilometres on the road to Ondangwa, which was becoming quite familiar now, and then turned off to Eenhana and Rundu, along a fairly new tarred road (on our map it was still marked as a gravel road). 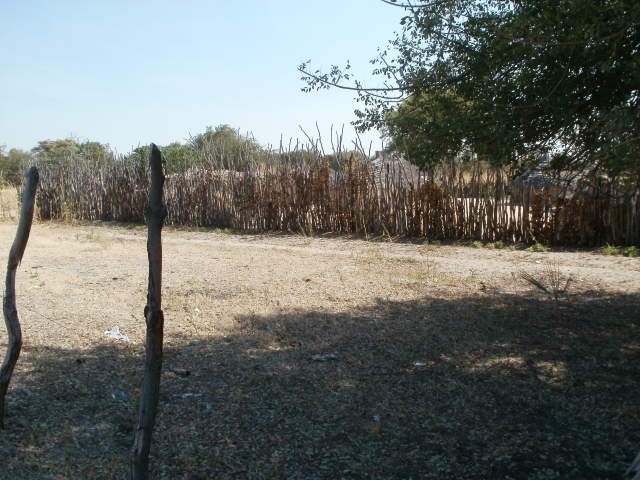 After a while we left the urban sprawl behind, and passed a few traditional Ovambo homesteads, though many of them had one or two square houses in them, and some had the fences made partly or wholly of wire and old corrugated iron. At Eenhana there were two large shopping malls, both looking brand new, and not much else. Perhaps the cash economy came here more recently, or perhaps it is because Eenhana is the capital of the Ohangwena Region, and they are expecting an influx of civil servants. Looking at the map, the Ohangwena Region seems to cover the part of Ukwanyama that lies in Namibia (as opposed to Angola), and is probably where most of the Anglicans in Namibia live. We stopped to draw money from an ATM, so Val’s card still worked at least, to buy cold drinks for the journey, and went on eastwards, travelling quite slowly. 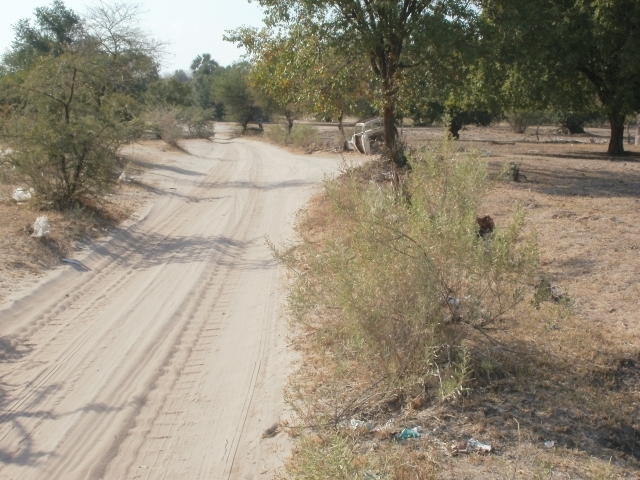 Though the road was dead straight, without the gentle curves of the Trans-Kalahari Highway, it was still interesting, with gradual changes in vegetation, and passing through occasional villages, most of which had several of the shiny galvanised iron buildings, which must be horribly hot in summer. As we travelled the day got cooler and rather overcast. We passed Okongo, the last Ovambo village marked on the map, and thereafter there was much less traffic, though we still saw cattle along the way, showing that the country was not entirely uninhabited. 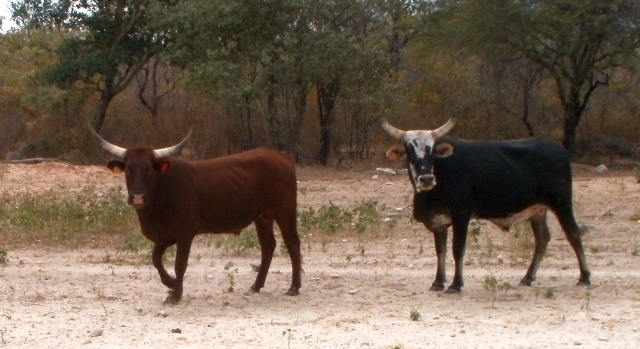 It was probably the western end of the Kavango region. We stopped a couple of times to take photos of the different kinds of vegetation, and the sitplekkies at the side of the road, which, unlike South African ones, were invariably immaculately clean. At one point we came to a confusing crossroads, with a sign showing Nkurenkuru to the left, and Tsumeb to the right, and we didn’t want to go to either place, as Nkurenkuru was shown on the map as way off to the north of the road. We nevertheless took that road, and eventually concluded that when it had been tarred, the whole road had been moved further to the north. After that, about 140 km from Rundu, the country opened out, and looked very similar to the parts north of Pretoria, the less urbanised parts of the former KwaNdebele “homeland”. There were more traditional dwellings than in Ovamboland, and also some bars and shebeens with fanciful names, but they looked somehow more mellow and part of the landscape, and there were fewer of them, though perhaps that was an effect of the overcast weather. One of the most memorable was the “Best Gloomy House”, but we did not stop to take a photo of it. Flat-bottomed trees found right across northern Namibia. Do they grow like that naturally, or is the bottom just the height that goats cannot reach? 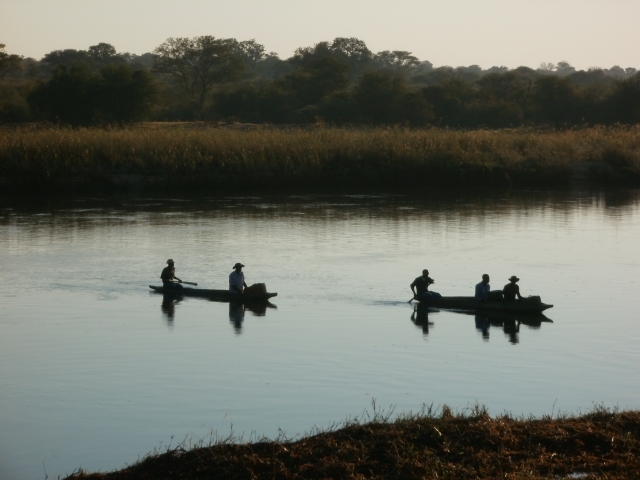 At times we got glimpses of the Okavango river in its shallow valley to the north, with Angola on the other side. The vegetation changed occasionally, and at one point there were a lot of tall palm trees. 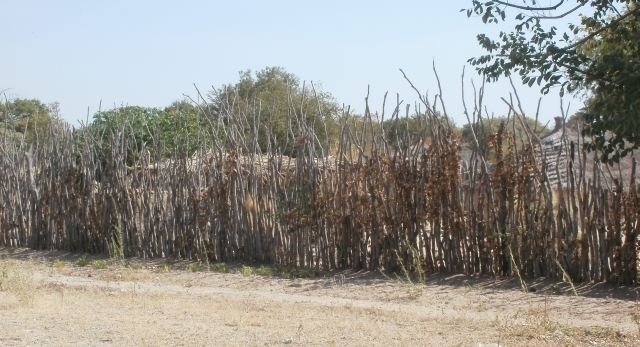 We speculated about what Rundu would be like when we got there. I had last seen it 44 years ago, when it was a civil service town, with a police station, a magistrates office, and a few other government officials and the main means of communication with the outside world was radio — it was only a couple of years later that the telephone line was opened, with a great fanfare of publicity and press releases. So I thought it might look like Giyani in South Africa, back in 1985, when we had last been there, or possibly like Oshikango. Val thought it might be like Tsumeb. In the end it turned out to be a bit like Oshikango, with uneven Albanian-type streets with drive-through potholes, and horrendous traffic jams, as half the garages seemed to have run out of petrol, and everyone was queuing to get to the other ones, and the main street was blocked to traffic while it was being rebuilt. It has also rained earlier in the afternoon, so the streets were muddy as well as crowded. It turned out that it was payday for civil servants, which was probably why everyone was in town to do their shopping and fill up with petrol. The rain was welcome, but too little and too late. There has been a devastating drought in Namibia this year. 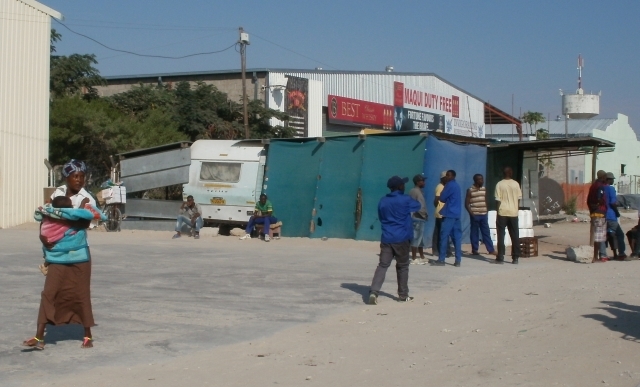 And now Rundu has its very own traffic jams. That’s progress for you. 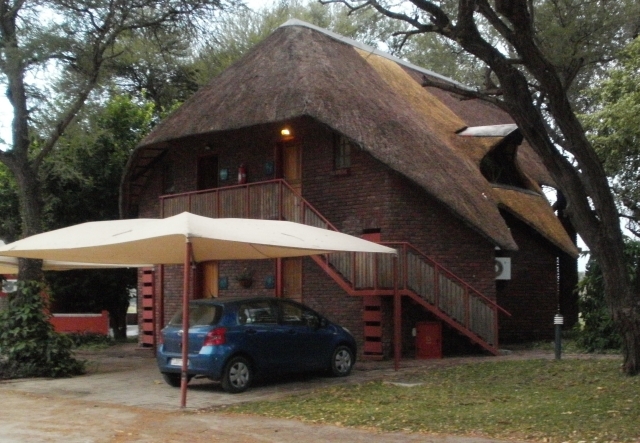 We had booked to stay at the Kaisosi River Lodge, about 7 km outside Rundu, overlooking the river. Of all the commercial establishments we stayed at on our journey, it was the best. We arrived about sunset, and we watched a professional photographer (we assumed) filming a group of people crossing and recrossing the river in dugout canoes. He would keep telling them to do it again, so he could reshoot the sequence — presumably they were paid extras. We took advantage of it to take photos of our own. As we did at most of the commercial places we stayed in Namibia, we left some BookCrossing books, and, for the first time in the 10 years we’ve been participating in BookCrossing, someone picked up one of the books and responded — Ricochet | BookCrossing.com. Obviously I should have given you more info on some things. Garage cards/petrol cards are used at few garages in the north as most drivers are cash paying. Just after you left I read that there was a problem with petro in Rundu but presumably you got enough to see you through. The road from 25 km east of Kongo has only recently been completed. I have as yet not been on the tarred one but hope to be doing so next year. I do however remember that on the gravel road one came out about 100 km north of Nkurunkuru. The tress are umbrella shaped as that is the height the goats can reach. I enjoyed reading your this blog as it is all so familiar to me when we had a 4X4. The old gravel road was not suitable for small cars so we had to go via Tsumeb. Thanks Nancy for answering some of the questions that we were asking. The foliage on the flat-bottomed trees all looked about goat height, but we weren’t sure. 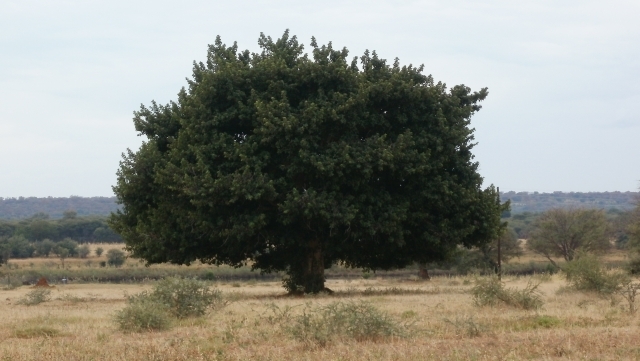 What kind of trees are they, like the one in our picture? Are they ana trees? Drotsky’s has apparently been refurbished, and the cabin we stayed in was quite new. We are especially grateful for your suggestion of Kaisosi — it too was a very good place to stay. I am impressed to find such beautiful pics and covering of the area. Keep posting some of the pics u have for Odibo. I even found the wedding of my son, thanx a lot.